Home Spy Apps Auto-Forward Reviews – Can You Check Someone’s Activity Remotely? Auto-Forward Reviews – Can You Check Someone’s Activity Remotely? What Features Does Auto-Forward Have? How Do I Install Auto-Forward? Is It Legal To Use Auto-Forward? Nomophobia – the fear to be left without your smartphone and the most popular word of the 2018 year according to the Cambridge Dictionary. Majority of modern people are obsessed with their mobile phones. And this obsession doesn’t necessarily mean something negative: our devices help us to manage everyday tasks and stay connected to people around the world. Many of us store all the essential data in our mobile devices. That’s why to find out something about someone you only need the access to this person’s cell phone. So, the spyware apps became the most requested ones. Read the review of Auto-Forward spy app what activity can it track for you. Gmail features auto-forward as a simple and fast way to forward e-mails to another account. But Auto-forward spy has nothing to do with Gmail as an e-mail service. Auto-Forward is the monitoring app, which forwards messages, call logs and other activity to the user’s Secure Online Account. It is designed primarily for smartphone monitoring. With Auto-Forward you can supervise your kid’s device and the mobile phones of your employees. Auto-Forward checks all the data stored on the target smartphone. This includes text messages, GPS location, call logs, and other child’s activity. Then the app transfers the found data to user’s Secure Online Account. You can check the activity from your Auto-Forward account. Once you log in, you will see your dashboard. The user dashboard includes photo gallery snippets, text messages previews, and location of your child. On the left panel, you will see the list of all tracked activities. So you can select the activity type and check the latest logs. Find out what features the Auto-Forward spy has. Text Messages Tracker – Auto-Forward collects messages exchanged on the target device. The app also shows deleted messages. Search Alerts – You can set the Auto-Forward to notify you when the child enters the pre-defined word in the browser. You can discover what your child searches for from their mobile device. Contacts Monitoring – Auto-Forward copies the contacts list to the user’s online account. You can view the phone numbers and time stamp of each call. 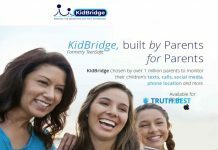 Messengers Supervising – Tracking messages and multimedia files in WhatsApp, Facebook Messenger, Viber, Twitter and Skype, Auto-Forward allows parents to stay informed about what their children share online. Application Blocking – With Auto-Forward you block installation of the dangerous application on kid’s mobile phone. The spy app can help prevent the child from using dating and other inappropriate applications. Installation of the Auto-Forward app requires physical access to the target mobile phone. It means you need to take the device from the owner for 2-3 minutes. Then go back to your Auto-Forward account to find the installation guidelines and install the spy app on the mobile phone. You can leave the device as it is after the installation is complete. Then check the online account for any tracked information that will appear soon. Parents can use Auto-Forward to monitor the mobile devices of their underage kids legally. It is also allowed for company owners to track the activity of their employees. The latter have to know about monitoring software installed on their devices. Moreover, they should give their consent to be supervised. According to the laws of every country, it can be illegal to use spying software to monitor someone’s device. We would recommend you to contact your legal advisor before installing the spy app. Being a parent is an everyday challenge. Not only you need to cover the financial needs of the child, but also take care of their safety and well-being. Parental controls are the necessary tools that can help parents deal with some part of parental responsibilities. Nobody wants to invest money in the useless product. That’s why we are here to recommend the best app available. We thoroughly test the available apps, gather other users’ testimonials to provide honest and reliable information on every monitoring tool. Returning to Auto-Forward, the app contains some essential tracking features that can ease parenting. But any application has own flaws. Let’s check the pros and cons of the Auto-Forward app to decide whether it’s worth your money. The Auto-Forward app may be a good choice for you. It covers all the essential monitoring needs and can help you protect your child from various online threats. Although, if the cons of the app ruin its credibility for you, you can try the tool ranked higher.